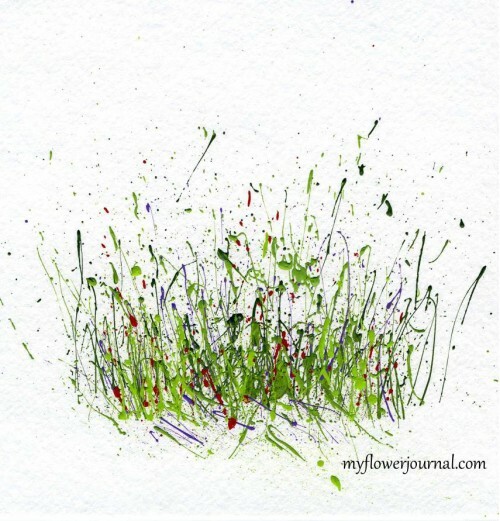 I recently discovered an easier way to make splattered paint flower art. 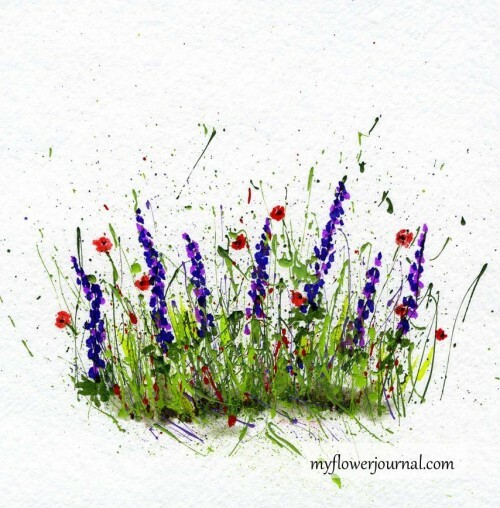 I used my Tombow markers to add the flowers to splattered paint backgrounds on watercolor paper. This simplified the process and required less painting time.First I splattered different colors of green paint on 5×7 inch watercolor paper. After the green paint dried I added brown and few flower colors. I splattered paint until I had about 15 cards I was happy with. A few didn’t turn out as well, but I still saved those and I will cut them smaller and make gift tags. 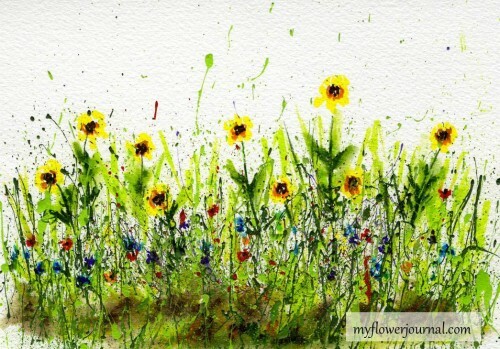 You can learn how I splatter the paint and make cards here, here and here. After the acrylic paint had dried I used my Tombow markers to add dabs of color to give the impression of flowers. The technique is similar to using acrylic craft paint, but it was simpler and less messy to use markers. I have a good selection of Tombow markers so that is what I used, but any kind of maker would work. Put the lightest colors down first then add darker colors on top to give more dimension. Don’t try to draw every petal and detail of the flower. Dab the color on giving it a random wildflower look. Here are some of the ones I did. The first photo shows the splattered paint background and the next one shows the background with the marker flowers added. A video showing how I splatter paint and the supplies I use can be found here. ***Go here for a free printable similar to the image above that you can print and add flowers with your markers. 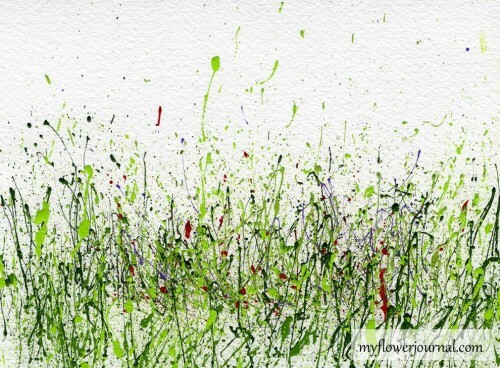 This splattered paint flower art looks pretty framed or can be used for cards or gift tags. so beautiful Tammy! I wondered what happened to you…I still love making things using your techniques. Thanks for sharing about using the markers! Way cool, about the spatter painting, Tammy! I enjoy reading your posts too! Oh clever you! Thanks for the tip about making the flowers with markers, I have a lot of them, so will see how it goes. I’ve used your technique to make cards for friends, all of whom love them! They all want to know how long it takes me to make all those marks! Ha ha! What a great idea. They all look beautiful, but the yellow flowers are my favorite.